The census designated place, Montauk includes a hamlet bearing the same name situated in the East Hampton town. The leading tourist destination has around 6 state parks. It has the record of having the most number of salt water bodies in the entire world. 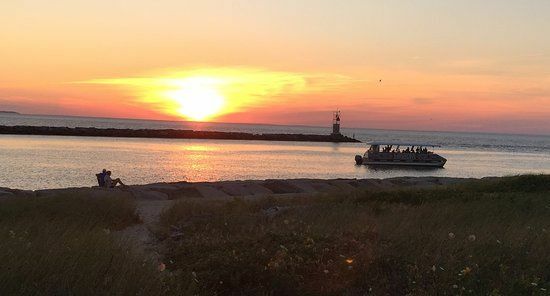 Some of the worth considering activities are boat tours in Montauk, parasailing, fishing, Montauk sunset cruise and several others. Considered as the leading beach resort, Montauk is the busiest tourist destination in the entire East Hampton. Among all kinds of activities, you should choose parasailing for sure. 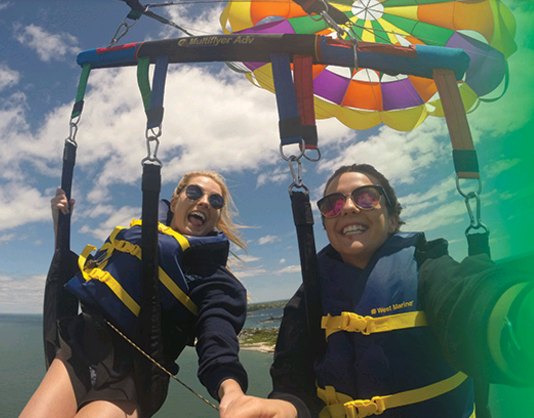 We can say that Montauk is particularly famous for parasailing activity. Parasailing on long Island gives you a very different kind of experience. The fun adventure and terrific sport is a recreational activity in the true sense. Splashdown is the real beauty of parasailing in the Hamptons where the parasailer is made to land on the waters for a few seconds after being unhooked from the parasail. This will offer a breathtaking experience. If you want to watch the crimson rays of the setting sun when you are amid the waters, include sunset cruises in the travel package. You must include various activities in the water sports activities to experience the best of this world. When it comes to package inclusion, you may include the most basic speedboat ride or even go for something more breathtaking and adventurous like wakeboarding. While on the speedboat, you may also capture amazing snapshots. Apart from the water sports activities, you also need to include sightseeing activities within the travel package and pay visit to the 6 state parks famous in Montauk. They are Hither Hills Park, Camp Hero State Park, Montauk Point State Park and others. You must ask you travel agent to give you the list of things to do in Montauk. Among so many activities, you should choose the best ones.